East Potomac Park is a 300+ acre peninsula in Washington DC, between the Washington Channel and the Potomac River on the south side of the Tidal Basin. The southern end of the park is known as Hains Point. The park features many of Washington's famous cherry trees, has terrific views of the city and is a popular place for biking, running, fishing and picnicking. Ohio Dr. SW Washington, DC. East Potomac Park and Hains Point are located south of Independence Avenue and the Tidal Basin. The closest Metro station is the Smithsonian. See a Map. There are 320 FREE parking spaces within the park. On weekend afternoons in the late spring and summer, cars are not allowed to enter the loop road around the park. By that time on nice days, all the parking spots are usually taken. You can access the park on foot by following the trails from the Jefferson Memorial. Driving Directions: From I- 395 North. Take Exit 2 Potomac Park/Park Police. Follow the signs towards Hains Point. Turn Left onto Buckeye Dr. Take a right onto Ohio Dr. Continue straight through the park. Parking Access: from Ohio Drive and Buckeye Drive. Public facilities at East Potomac Park include a golf course, a mini-golf course, a playground, an outdoor pool, tennis courts, picnic facilities, and a recreation center. This beautiful park has plenty of shade, bathrooms, picnic benches and lots of areas for kids to run around. 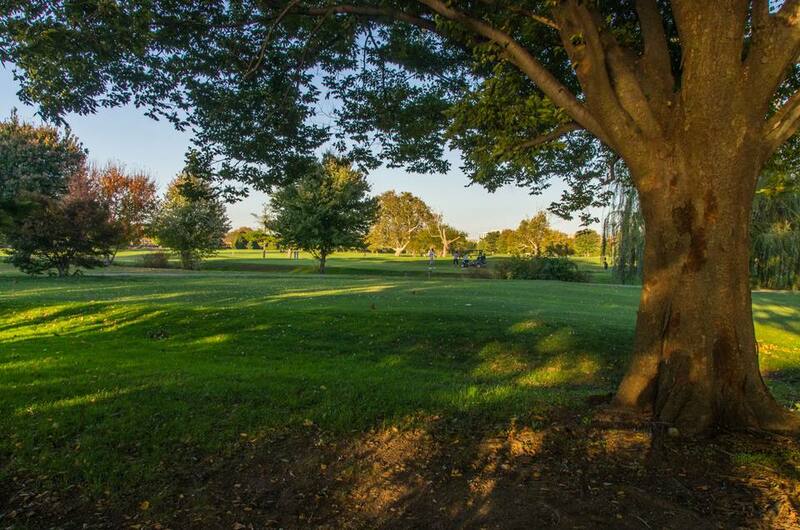 East Potomac Golf Course - There are three golf courses including an 18-hole course, two 9-hole courses, a driving range and a miniature golf course. Capital City Golf School offers group and private lessons for all ages. There is a pro shop and a snack bar. East Potomac Tennis Center - This is one of the largest indoor public tennis facilities in the Washington, DC area. There are 24 courts, a practice wall, a pro shop, locker and shower facilities. Membership is not required. Walk-in, reserved and seasonal contract court time is available. (202) 554-5962 Hours: 7 a.m. – 10 p.m. 7 days a week. East Potomac Park Swimming Pool - The outdoor Olympic-size pool is operated by the DC Department of Parks and Recreation. Hours: Open June – mid-October, Monday – Friday: 1 p.m. – 8 p.m., Saturday – Sunday: Noon – 6 p.m. Closed Wednesdays. (202) 727-6523. Hains Point offers four picnic areas for groups accommodating up to 75 people. There are no electrical outlets and grills are not provided. Picnic areas can be reserved year-round for a half or full day by visiting recreation.gov or calling (202) 245-4715.